Do your church visitors come back a second time? Here in July, it is the summer slump in programming for churches. Most churches slow down their programming during these months and prepare themselves for a fall launch of a new sermon series and launch of many new programs. Recast new vision for welcoming the first time church visitor. Evaluate systems and fix what is broken. Look for new ideas to improve your current systems. Help your church welcome new visitors this fall. All as you prepare your fall activities to launch your new programming. Prepare your teams for the September welcome. 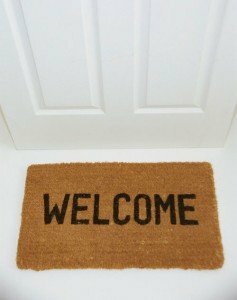 How welcoming guests helps your church fulfill or fail the great commission. Every now and then, church hospitality teams need Rev. Chris Walker of EvangelismCoach.org to lead your team in a time of vision casting for your church’s hospitality ministry. 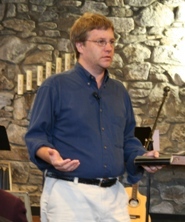 Join us July 26, 2012 for a free workshop for your church hospitality and welcome teams, at Crestwood Presbyterian Church – West Campus, Midlothian VA where Chris Walker, of https://www.evangelismcoach.org, is the featured speaker. He is fittingly known as Evangelism Coach because of his extensive work with churches in the US and Latin America in the areas of evangelism and church growth. Chris is an ordained pastor in the Presbyterian Church (USA). His website has over 900 articles on personal evangelism, congregational evangelism, and hospitality, as well as a podcast feed, all for free. He’s written two ebooks, and recorded 2 CDs on church hospitality issues, authored 1 DVD for training greeters, and a 3 DVD set on Breaking Unseen Barriers that keep your visitors from coming back. I feel rejuvenated in learning to pray after the Salvation Army Quest ministry workshops in Michigan. Chris is very passionate and on fire for what he speaks about. Keep up the good work! Come to learn some of the practical ways Chris has discovered to grow your church out of his research, study, and first hand real life experience from serving as a local pastor, planting two churches and doing evangelism work cross culturally in 9 different countries. You’ll receive reminders as the conference draws near. We encourage you to bring your ministry leadership team to this event. Help us get the word out by using the sharing features to post on Facebook, Twitter, and elsewhere. Registration information will be shared with EvangelismCoach.org. Event is open to the public and other churches are invited to register and attend. Chris is a highly accessible speaker who brings a passion and energy to his workshops that is contagious. A love offering will be received. Chris will have additional audio CD resources for sale. Online registrations with email will be added to the EvangelismCoach newsletter list. You can unsubscribe at anytime. One of our church members registered for this conference but then had issues printing their ticket. Could you share a phone number or email address that they could contact to confirm their registration? Thanks very much for your help.